Our company was founded in 1994. We specialize in sorting and selling second hand clothing. Due to on-going developments and our carefully chosen successful policy, we have become one of the leading used clothes processing companies in the region. 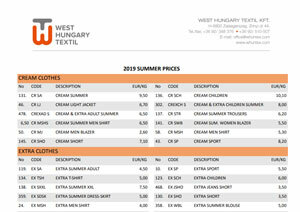 The majority of our products are sold in Hungary, but considerable mass of used clothes and shoes is sold in the neighbouring countries, Eastern Europe, Afrika and Asia. Our main activities are sorting, grading and selling used clothing. In our modern, tidy and well-equipped 6000-square-meter plant we process 5000 – 6000 tons of original clothes and produce 300 different kinds of products, all sorted according to seasons, types and quality. 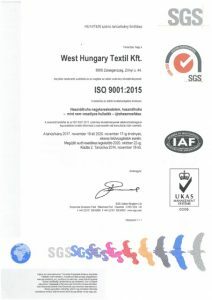 We have growing number of satisfied customers thanks to the perpetually good quality of our products, the key of which is our deep knowledge of the demands in Hungary, the appropriate technical background and expertise. Our goal is to expand into new markets while serving our existing partners. We want to improve quality and quantity of our products. Dealing with used clothing, we meet the highest professional requirements. Most of our employees have years of working experience. We recruit new personnel carefully and give them training. 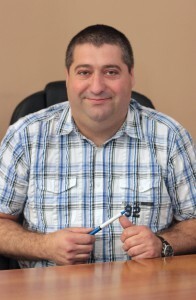 Our production managers supervise manufacturing processes in order to maintain quality. To increase efficiency, we operate a thorough industrial safety system and a data protection system. We strive for solutions that protect the environment through deliberate energy and material consumption and handling waste material. Our site has the permission to recycle non-hazardous waste material. 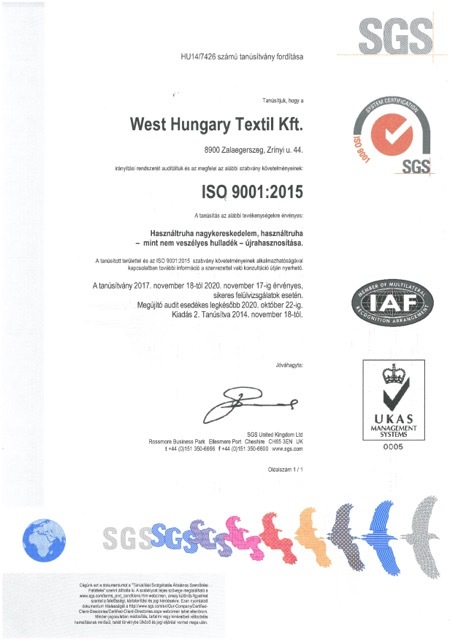 To maintain high quality and traceability, we use the MSZ EN ISO 9001:2015 quality standard as the basis of our quality management system. For years, our company has been giving financial assistance to the Vázcika Cerberus Foundation and the Bogáncs Állatvédő Association animal shelters.